in japan, we eat a lot of sweets made of “あずき”, red beans. in my opinion, お汁粉 (“oshiruko”), sweet red bean soup, is one of the most well-known, easy to prepare, comfort desserts for us japanese. also it is healthy and tasty. during the past new year holiday, i had a chance to learn how to prepare it from my mom. 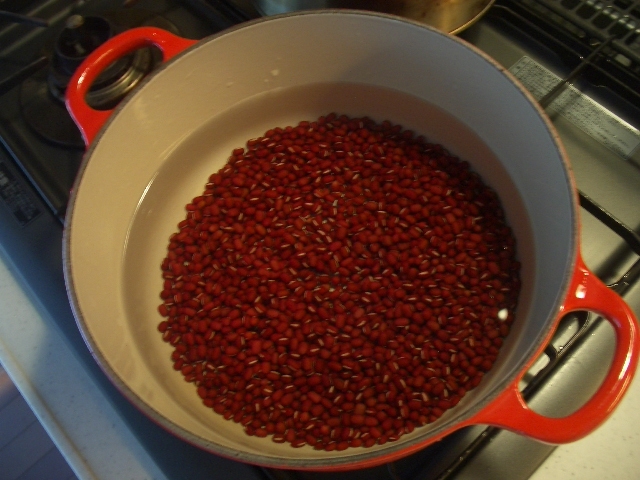 first, quickly rinse the beans in cold water. put the beans in a deep pot, pour water in (3 times more than the beans) and bring it to boil. once the water is boiled, drain the water and put the beans back into the pot. again pour water in (this time 3 – 4 times more than the beans) and bring it to boil again. 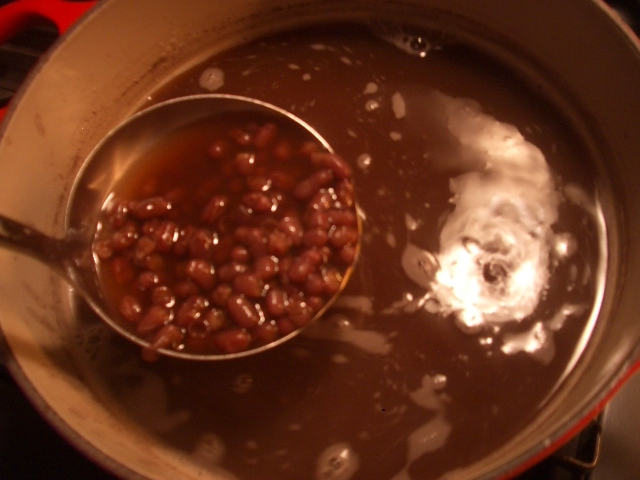 once the water is boiled, lower the heat and keep boiling the beans until the beans are soft (this takes about 30 – 40 minutes). if the amount of water reduces to the surface of the beans, add more water in so that the beans are always covered in water. 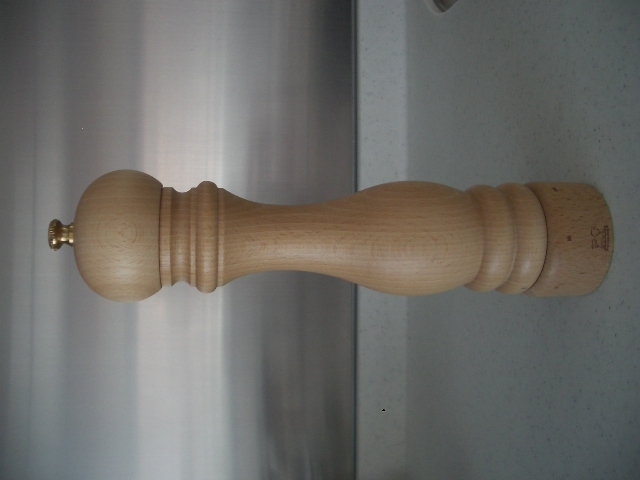 tip – while the beans are cooked, make sure to skim off the white foam coming up on the surface. this white foam is the cause of bitterness, and we don’t want it for the oshiruko. once the beans become soft (until their core becomes soft), add the sugar in, stir and melt the sugar, and then put a pinch of salt to enhance the sweetness. adjust the amount of sugar to your preference. tip 2 – make sure to put the sugar in only after the beans are soft – after adding the sugar, the texture of the beans stays the same no matter how long you cook the beans. 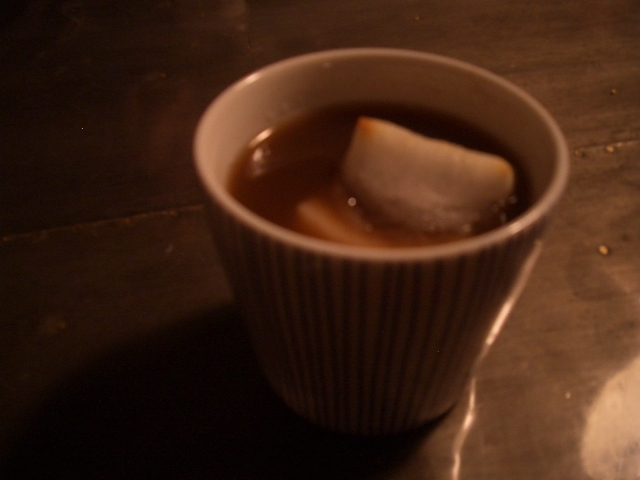 serve it hot (or cold if you like it), with a piece of toasted お餅 (“omochi”), rice cake. special thanks to my mom for sharing this recipe. wherever i will move in the future, i will make sure to make this dessert in a cold winter day, to remind myself of my origin, my home, and my childhood. sword fish – i love this fish. it is tasty, its flesh very firm and almost meaty, which texture can be soft at the same time depending on how you cook it. 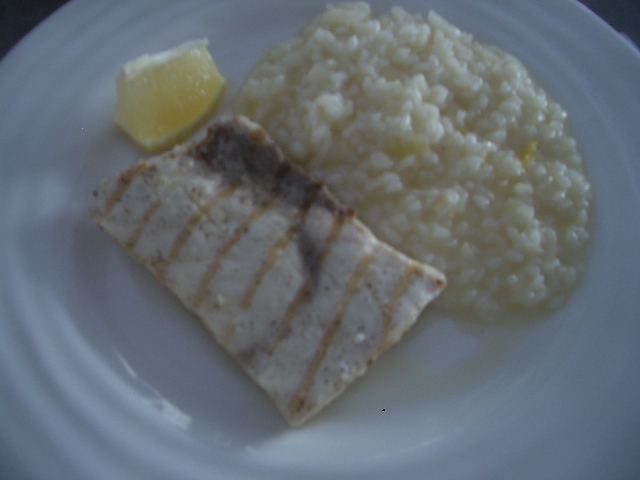 i found the 2 large filets of sword fish in our neighborhood supermarket the other day, which reminded me of the dish, sword fish & lemon risotto, from a very special restaurant for my life called “beacon” in tokyo. beacon is the restaurant where we had a small wedding lunch 2 and a half years ago. although we had a proper wedding in the netherlands (my husband’s home country), we wanted to do something in japan as well for my relatives who would not be able to travel all the way to europe. we chose beacon not only because of their delicious, dynamic food focusing on the taste of its natural ingredients, but also for their stylish, yet subtle and understated style in their interior design. we didn’t go for the traditional japanese cuisine for the wedding lunch. we just wanted to do it at a place where we felt most comfortable and fitted in. in my view, beacon offers internationally arranged cuisine, which takes good elements from different dishes from all over the world. the type of cuisine at beacon appears to be influenced by italian, french, australian, american, mexican and of course japanese amongst others. their style represents an example of urban living in an international environment – maybe a little bit like us, being a unified mix of diverse social backgrounds, which is hard to be categorized into a specific group. 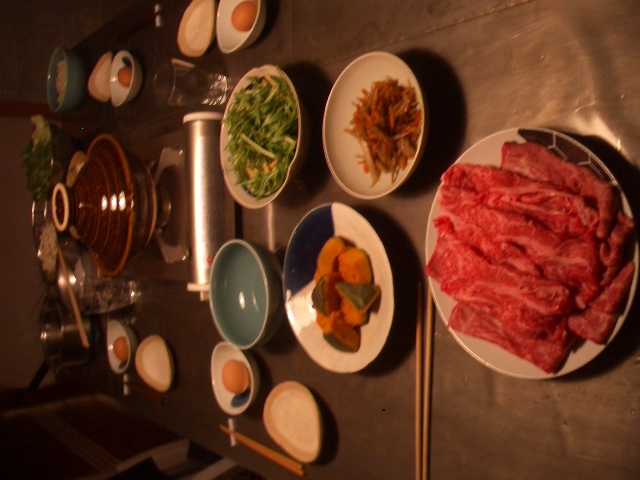 if you get tired of eating only japanese food in tokyo and want to have a nice western style brunch or dinner with good grilled seafood/meat, beacon is a perfect place to go (see link: beacon). right before grilling the fish, sprinkle salt & pepper, and rub the olive oil around the filets. heat a grill skillet, and place the filets when the skillet is hot enough. turn over the filets after a minute or 2, and then further grill the filets for another couple of minutes. lower the heat and pour a table spoon of water, put the lid on the skillet and smother the filets for 5 minutes or so. in a large pan fry the onion with olive oil in low heat for 10 – 15 minutes until the onion is nice & soggy. make sure that the onion do not get burnt. 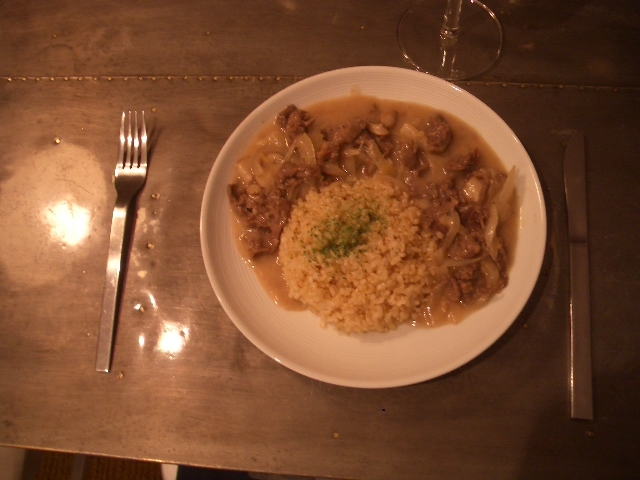 put the rice into the pan, mix it quickly and pour the wine in. mix it gently until the wine is almost absorbed. then pour 1 ladle of broth and mix it gently with rice. once the broth is almost absorbed, pour another ladle of broth, and continue doing this until the rice is cooked (20 minutes or so i think, although i never properly timed it before). once the rice is almost done, pour the lemon juice and put salt & pepper to taste, and mix it gently. turn off the heat and put parmiggiano & butter, mixed it gently again and put the lid on. wait for a couple of minutes. sprinkle lemon zest over the risotto before serving. 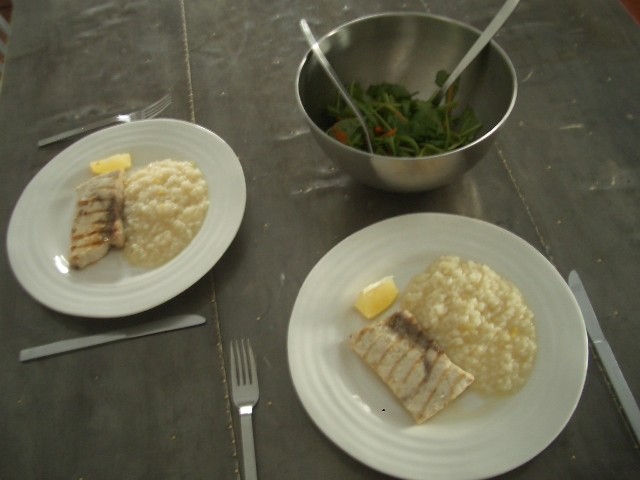 it not only gives nice colour to the dish but also offers a kick to the taste. 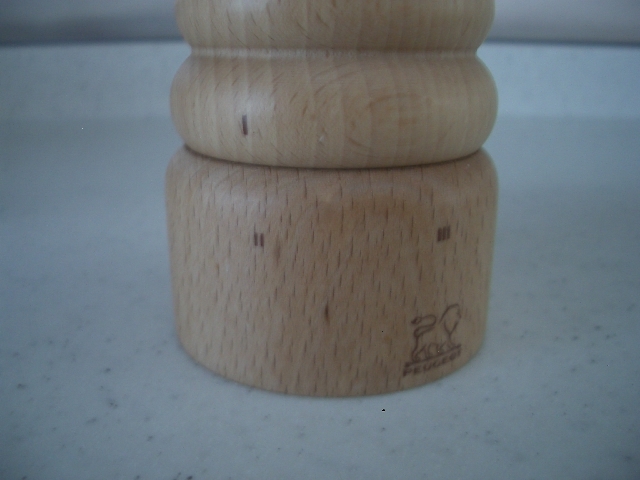 also serve it with ruccola salad or marinated broccoli. in japan, we celebrate new years day just like christmas in the west. families get together, eat the new year’s feast called “おせち (osechi)”, preserved type of food such as beans, egg cakes, fish cakes, vegetable pickles, etc. which are prepared a few days in advance and nicely decorated in layered boxes. we also eat this soup called “お雑煮 (ozouni)”, which in the area where i’m from is usually bonito fish based soup with chicken, raddish and carrots, always served with “お餅 (omochi)”, sticky rice cake. this year we were in japan over the new year’s period, so we had my parents over at our place and had the new year’s feast with them. to my dismay however, due to all the preparation & excitement for the new year’s day, i totally forgot to take photos of this great feast – dah!!! so here i present what we eat 7 days after the new year’s day (so 7th of january), which is called “七草がゆ (rice porridge with 7 different kinds of herbs)”. 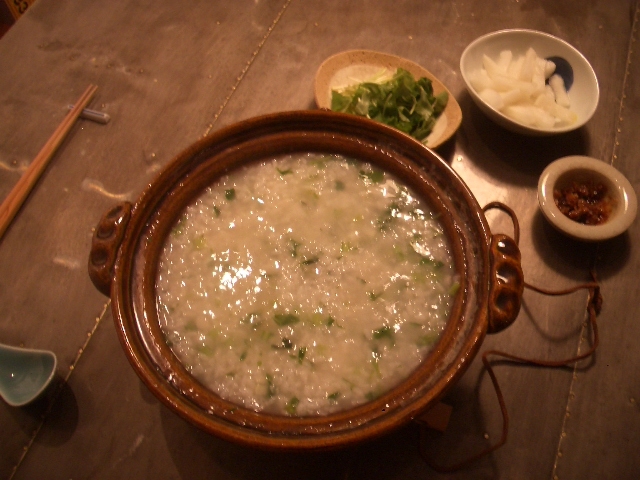 traditionally we eat this porridge to let your stomach rest after the continuous big feasts over the new year’s holiday. it’s completely vegetarian (vegan actually) with natural ingredients and the taste so soft for your stomach (just used salt to taste). it is good for digestion as well. after a bowl, the taste gets a bit blunt, so we can put some topping over it, and this time i had raddish pickles with yuzu citrus, bonito fish flakes with soy sauce, and some mitsuba (trefoil) leaves. 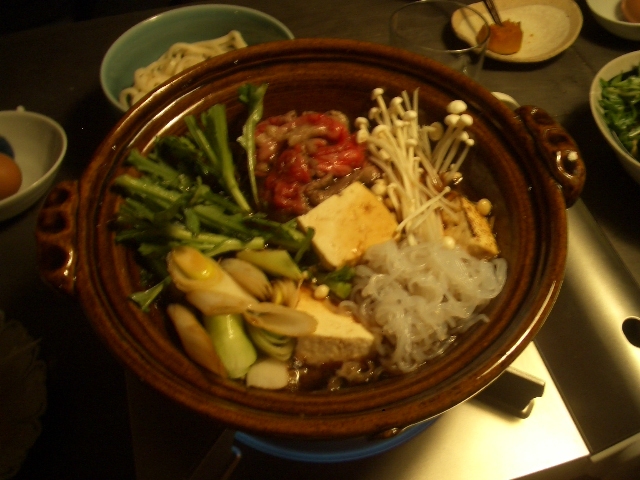 in a big deep pot (preferably earthen pot), pour the rice and rinse it a few times with cold water. after draining, put 4 cups of water in the pot, put the lid on, and bring it to boil in medium heat. when the water starts to boil, lower the heat to the tiny heat and let it cook for 30 minutes or so until the water is almost absorbed into the rice. remember to gently stir the rice from time to time so that the rice would not stick into the bottom of the pot. while the rice is being cooked, boil the water in another pot, sprinkle a pinch of salt and quickly boil the chopped herbs (a minute is enough). add the chopped herb to the rice when the rice is almost ready. cook them jointly for 5 minutes or so, add 2 – 3 pinches of salt to taste.